Yes, you read that right and I know you’re thinking, “Gosh, you’re crazy lady”. But think about it for a second; spaghetti squash has a crunchy texture just like coconut, and since the squash has minimal flavor, it can easily camouflage itself into whatever you’re making. Ah ha! They’re geniuses I tell you! 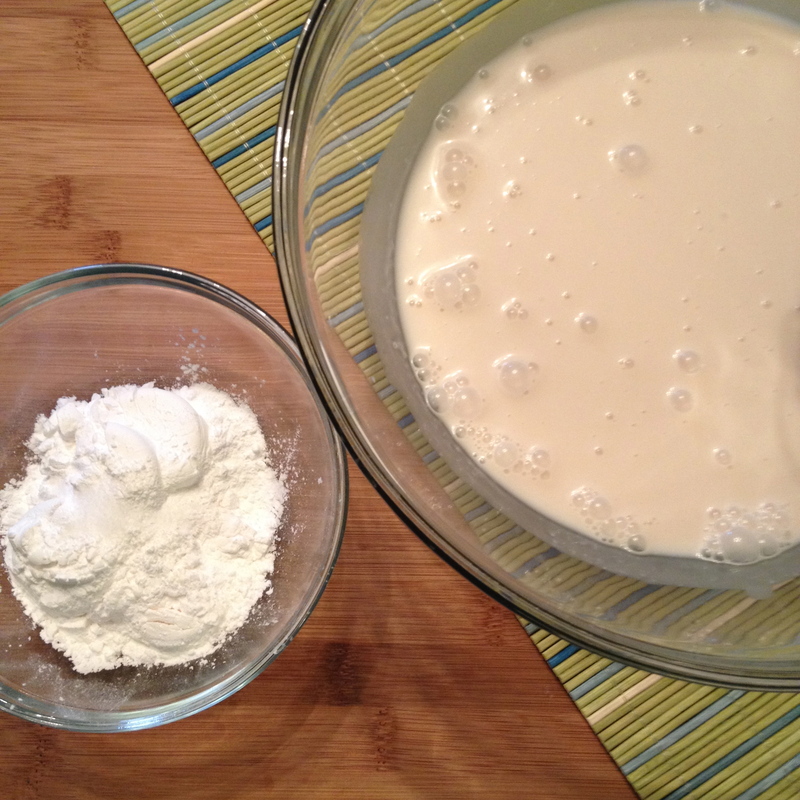 In a large bowl, combine wet ingredients: coconut milk, almond milk, and extracts. 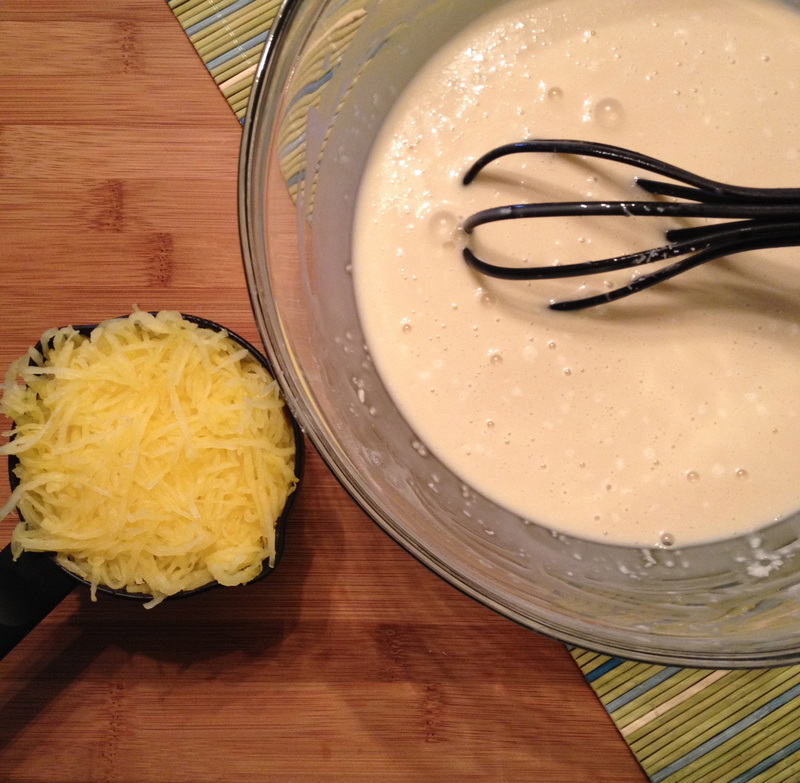 Then, whisk in both eggs. 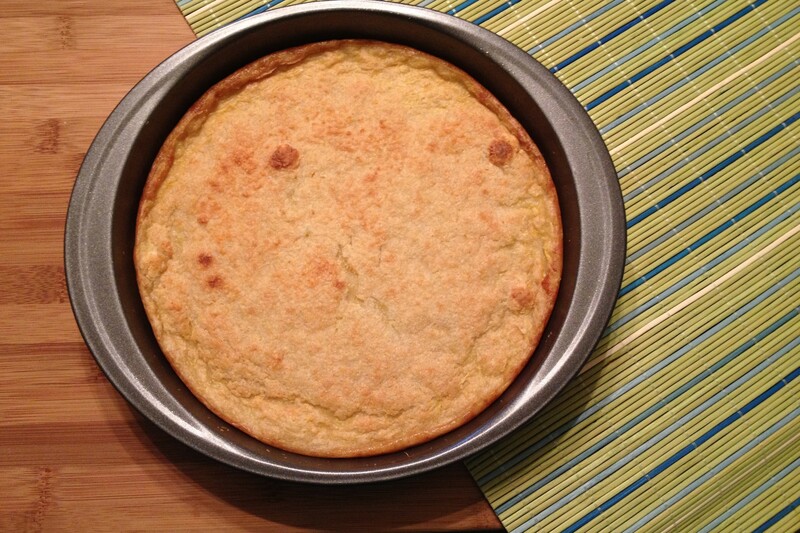 In a medium bowl, combine dry ingredients: 1T coconut, flour, baking powder, salt, stevia. Incorporate the dry ingredients into the wet and mix well. Stir in the spaghetti squash. 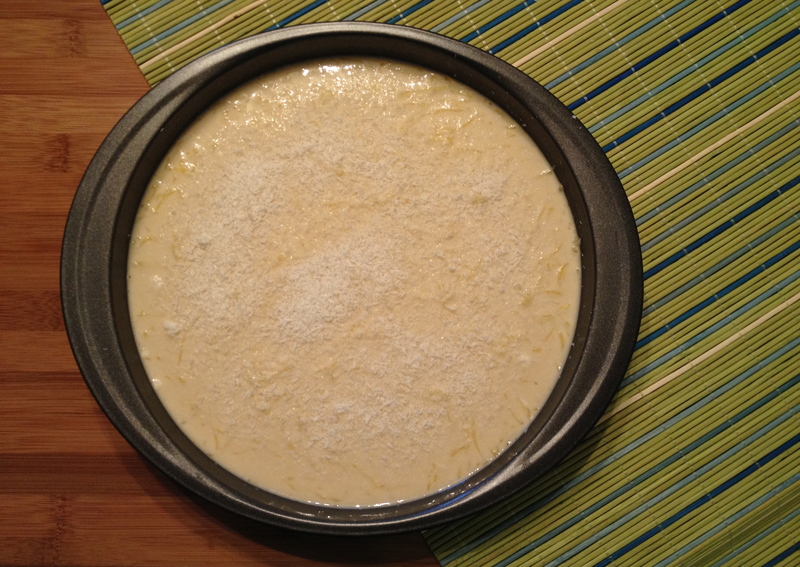 Pour custard mix in a non-stick/sprayed 9″ pie pan. 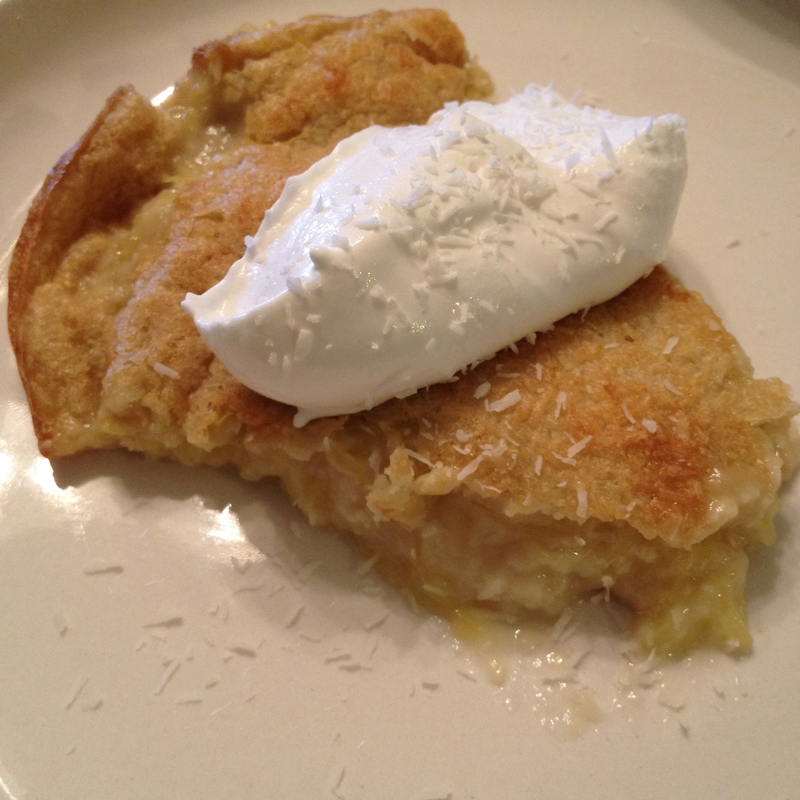 Top with remaining 2T shredded coconut. 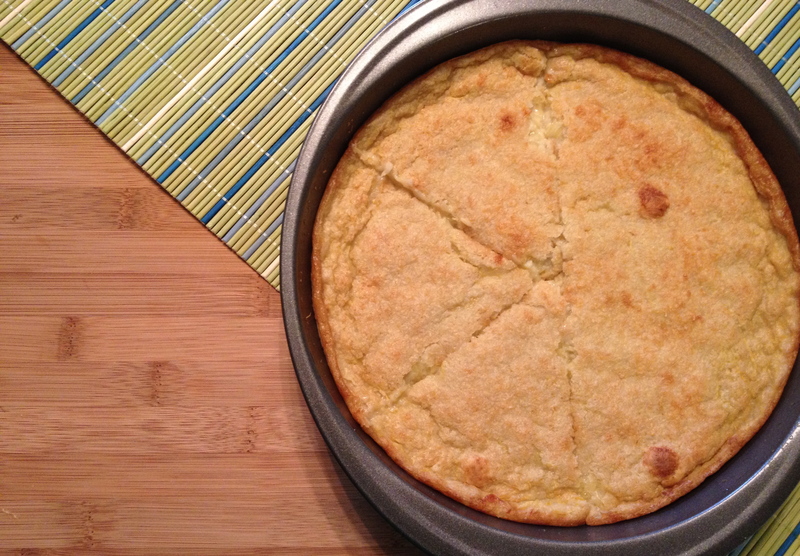 If desired, broil the pie for a few minutes for a nice, golden brown top. Allow to cool for an hour. 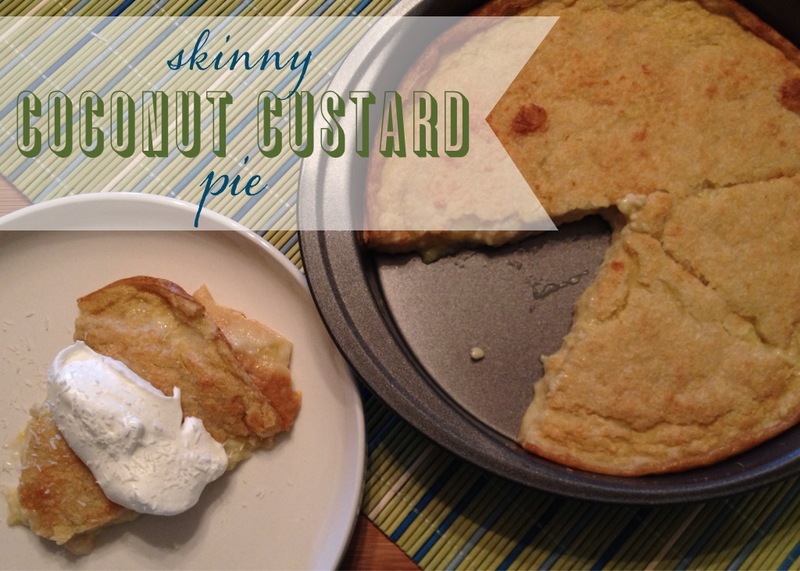 Serve with 1-2T fat free cool whip (0pp) and additional coconut (add extra points if needed). 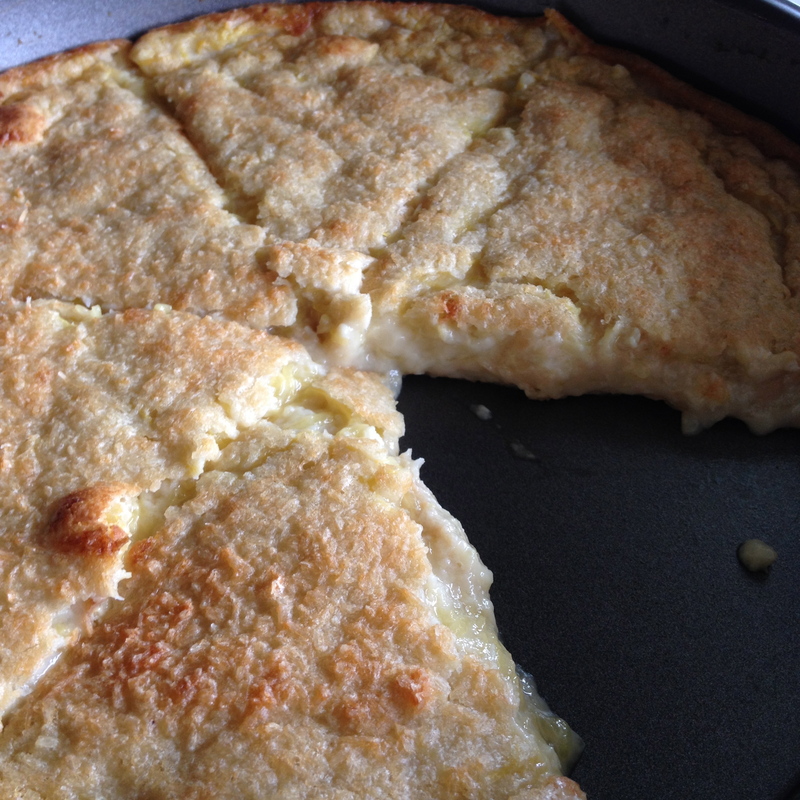 Look how thick and custardy it is … Mmmm.